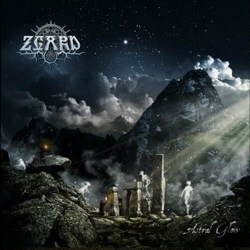 Ukrainian melodic atmospheric pagan black metallers Zgard, return with their third full-length work, entitled “Astral Glow“. The band has already released a video for the same titled song from the upcoming album. Concept of the album is the theme of life after death and the portals of communication between this world and the afterlife. “Astral Glow” is the continuation of a theme started in “Reclusion“. The wonderful artwork is once again by Kogaion Art, who also illustrated both their previous works “Reclusion” and “Spirit of Carpathian Sunset“. The new album will be released by the Russian label BadMoodMan Music, a sub-label of Solitude Productions. The exact date isn’t announced yet, but the album is expected around January 2013.